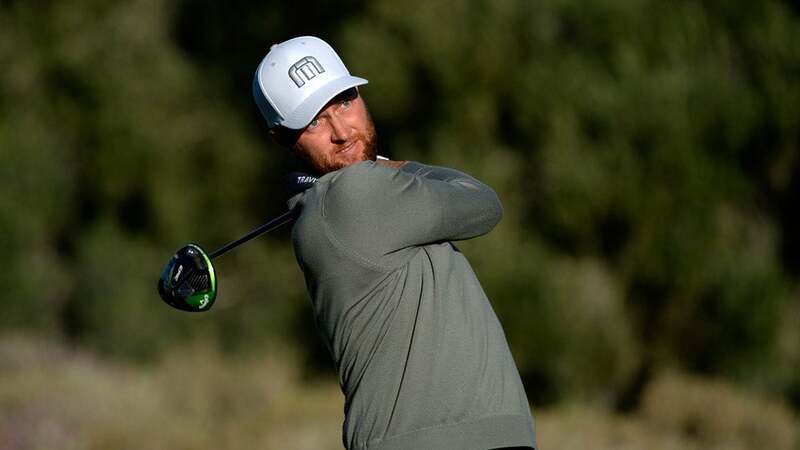 ST. SIMONS ISLAND, Ga. (AP) — Chris Kirk holed an 18-foot putt for eagle on his final hole for a 9-under 63 and a one-shot lead Thursday in the RSM Classic. Kirk played the par 5s on the Plantation Course at Sea Island Golf Club in 5 under. The seven lowest scores of the opening round came on the Plantation Course during a picturesque afternoon on the Golden Isles. Sporting a University of Georgia hat Thursday, Kirk won at Sea Island four years ago for the second of his four PGA Tour victories. The tournament is the final PGA Tour event of the calendar year, and Kirk is sorting out equipment changes. Joel Dahmen had a 64. “I think it played a little easier today,” Dahmen said. “The wind was down, greens were a little softer over here on the Plantation side. But just kept the ball in front of me and made a bunch of 8- to 10-footers. Sea Island resident Hudson Swafford was at 65 at the Plantation along with Jason Kokrak and Brian Gay. He played alongside fellow former Georgia players Bubba Watson and Brian Harman. “We are right in the heart of Dawgs’ territory, mine and Harman’s backyard, so it’s kind of nice,” Swafford said. Though, his caddie wore an Auburn shirt. “We don’t need to talk about that,” said Swafford, not needing to be reminded that Auburn beat Georgia in football last week. Brandt Snedeker opened with a 67 in his first return from a sternum injury that sidelined him since the Travelers in June. Harman shot 69, and Watson had a 71.